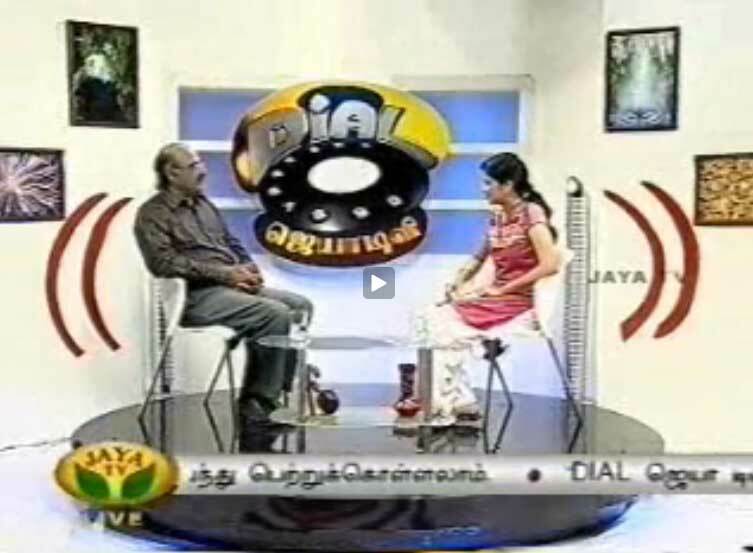 K. Srinivasan, Convenor of Education Loan Task Force (ELTF)was interviewed live in Jaya TV, a popular Tamil Channel on the various aspects of education loan and the procedures. This was a live phone-in programme. Many viewers sought clarifications over phone. Eduction loan procedures, interest subsidy scheme, education loan for foreign studies and many more relevant informations were discussed. Please click 'play' to watch the video. (25 minutes). The streaming of this video will be smooth in broadband connections. If you find any difficulty, you may right click this link and download the video to your desktop in wmv format and play.